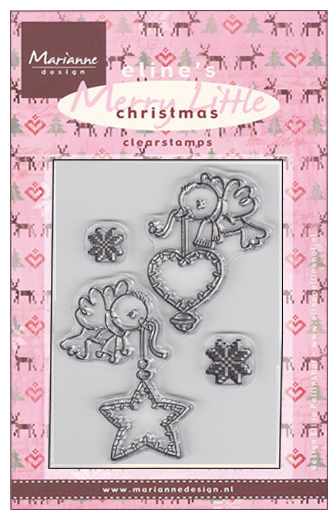 Marianne Design Clear Stamp set contains four clear stamps featuring Eline's Flying Decorations. The star and heart birds measure approx. 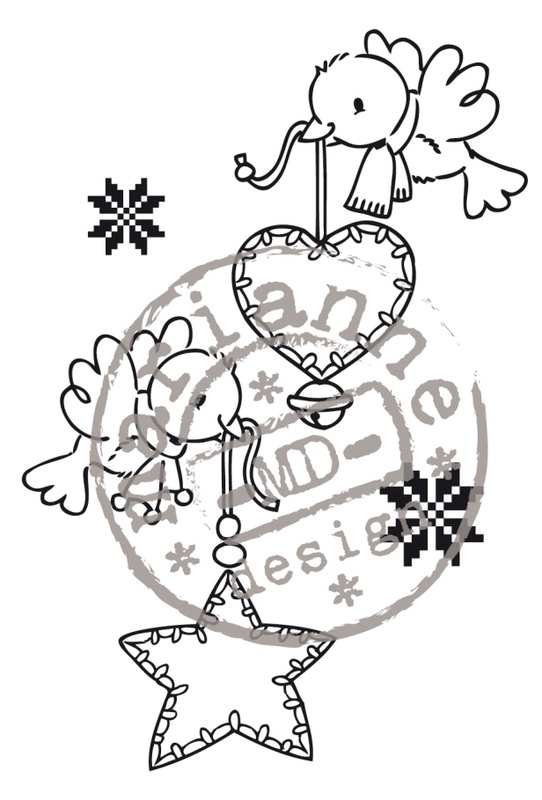 1 1/2" x 2.1/2" and the snowflakes are 1/2" and 1/4"